This may have been the longest it’s taken me to finish a book, at a little over 5 weeks. One week I was traveling in LA, and a good part of two other weeks I was a bit sick. Despite those holdups, I did keep my interest and finished it up. 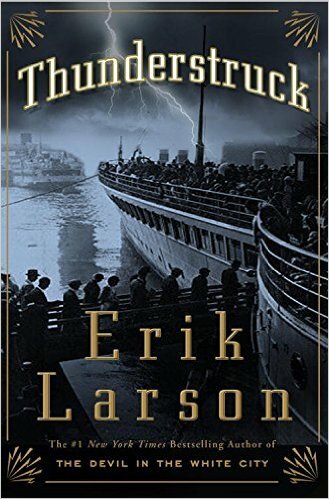 I’m a big fan of Larson, as is the kind woman at the library who initially recommended another book of his a little while back. The non-fiction reading like fiction is a pretty great style. I enjoy learning historical facts in such a manner. I believe I still have to give The Devil in the White City a read as well.